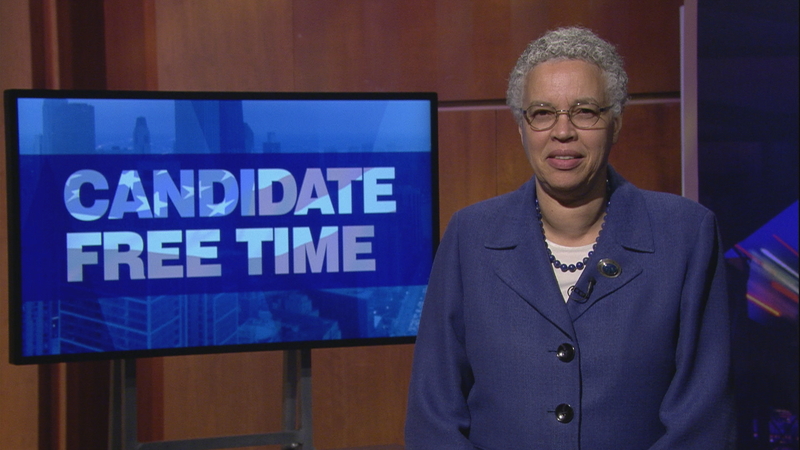 Video: Toni Preckwinkle tells voters about her platform. Learn more about Candidate Free Time. Political Experience: Served as Alderman of the 4th ward in the city council for 19 years, currently serve as Democratic Committeeman of the 4th ward and as Executive Vice Chair of the Cook County Central Committee. I’ve served in my current capacity as Board President since 2010. The president of Cook County is the chief executive officer who presides over the meetings of the Cook County Board and directs the administrative functions of the county as a whole. Majority of the resources in the county’s budget goes to our criminal justice system and the Cook County Health & Hospital System. I made it a priority early in my first term to reform the two. In my time in office, we’ve reduced our jail population by 40% and for the first time in its history, the Cook County Health & Hospital System has more insured patients than uninsured. I’m proud of this and will continue to do this work to make sure our criminal justice system is fair and equitable and make sure our healthcare system will continue its core mission to serve any individual who walks through our doors, regardless of gender identity, immigration status or their ability to pay. One of the goals of my third term is to make sure our Health & Hospital System is to secure the long-term sustainability of the Health & Hospital System. We’ve been able to add new patients to our medicaid expansion, CountyCare, putting the number of patients enrolled over 400,000. As I mentioned before, providing healthcare is one of the core missions of Cook County and as President I will continue fighting for this. As I mentioned above, the core mission of Cook County is managing public safety and public health. The rhetoric currently being pushed by the current occupants of the White House and his colleagues in the house and senate threaten the very progress we’ve made over the last seven year. They constantly debate the merits of the Affordable Care Act which has been a godsend to Cook County, lessening the amount of local tax dollars contributed to the Health & Hospital System. The repeal of the Affordable Care Act would be devastating to the people of Cook County and the state of Illinois. We should be making sure more people have more access to quality and affordable healthcare not limiting it. Hello, I’m Toni Preckwinkle, and for the past seven years, I’ve been proud to serve as your Cook County Board President. I’m asking for your vote because while we’ve made tremendous progress, there’s more work to do to improve the health and safety of our residents in every neighborhood. Of course it won’t be easy, but I’ve never shied away from hard work. Republicans in Washington and Springfield continue their assault on the social safety net, but we’ve got a different story to tell in Cook County. While the state went 736 days without a budget, Cook County has passed a balanced budget each of the eight years of my tenure. And we’re doing that while maintaining a high level of services. Donald Trump wants Obamacare to fail, but here in Cook County we’re a national leader in making sure it succeeds. Over 400,000 residents are now covered by CountyCare. The benefits for patients and our healthcare system have been dramatic. I’m especially proud of what that means for women. We’re expanding women’s health care and taking a stand to stop harassment and discrimination in the workplace. In Cook County, we call gun violence in this country by its true name a public health epidemic. We’re pioneering research looking at the crisis through this lens. It’s not made me popular with the NRA, but I’ll stand up to them any day of the week. We need to make sure there is opportunity for everyone in Cook County. That’s why we’re investing in youth recreation and job training opportunities, and working to reform our juvenile justice system. Cook County Board President isn’t a glamorous job, but it is an important one. The quality of health care we can deliver to the under insured and the uninsured, and the effectiveness and equity of our criminal justice system depend on the choices we make in the next few years. I’d be honored to have your vote, and the chance to continue to serve as your Cook County Board President.